With the landscape of marketing in a constantly changing state, it is now more important than ever to stay on top of the latest trends to better position yourself (and your company) for success. Social selling is a trending topic, and finding out how to utilize this strategy can help to attract the right visitors to your social media profiles, ultimately drawing them to your website where they will become a true lead (and hopefully a customer). 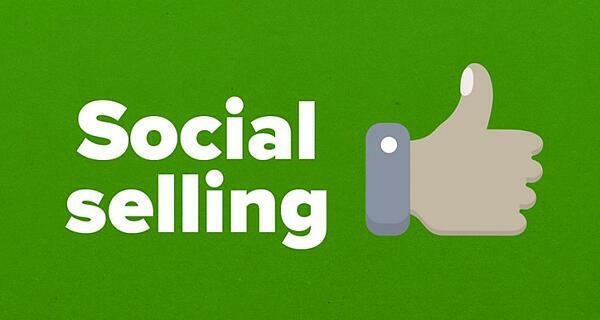 Social selling is less about actually pitching to clients and more about pitching yourself. As you can guess, with LinkedIn, the “business” social media platform, social selling is really skyrocketing. The platform essentially allows users to put their resumes on blast, giving viewers a highlight reel of their professional background. However, simply setting up your LinkedIn profile won’t garner the attention of leads. It is what you do with your profile once it is finalized that begins to build your personal brand. To establish a personal brand, one must understand the role of content. The content you share should tell a powerful story. Use a headline that intrigues your target audience and compels them to read your message. Be a thought leader! Don’t sit idly by and let your social profiles gather dust and cobwebs. That does your personal brand no justice and doesn’t get you on the pathway to a successful social selling strategy. Below are some ways in which you can begin to build your personal brand on LinkedIn, which puts you and your business in a better position to succeed. Building your personal brand on social networking sites is an effective way to find your next customer. Your personal brand can effectively highlight the characteristics that separate you from others in the same industry, which helps establish your value proposition. However, be conscious of the image you are building for yourself as your image is directly linked to your company's image. Make sure your personal branding remains professional for that purpose. Establishing the value proposition in your personal brand is important, but the way in which you communicate that message to the world is equally as important. Users want to avoid writing something about themselves just for the sake of writing it to make them look better. If you are the best at what you do, explain why you are the best, why they should work with you over your competition and how you will provide a service that no one else can. Your prospects can then make an informed (and easy) decision. But make sure you’re backing up what you’re claiming. Making random claims over the internet, with no evidence to support them, is an easy way to lose credibility, and, ultimately, lose the chance to work with a prospect. Identify your target audience and connect with their network of influencers. Subscribe to blogs or company RSS feeds. Be on the internet where they are. And show yourself by providing thoughtful and professional content (comments, status updates, etc.). It’s wise to set up a goal for yourself, establishing a minimum amount of new connections you want to get per week (on LinkedIn in this case) in order to maximize the reach of your messaging. Additionally, we suggest the use of personalized email introductions, including some sort of personal information that the connection can relate to, which will help break down that barrier and won’t seem as though you’re just trying to sell them something. You’re trying to build a personal connection or relationship with this person beforehand. It’s very important to share content. Share, share, share. But before you go off and start posting every article you’ve read, we want to make one thing clear. It is essential to make sure the content is relevant to your target audience and something they will feel compelled to engage with. Whether it is LinkedIn, Facebook, or Twitter, sharing content can go a long way to establishing connections – and building thought leadership. On the flip side of this however, you must also be sure that you are responding to anyone who is reaching out to you. Always check your inbox and mentions, and be sure to respond to any inquiries in a timely fashion. A good way to lose a potential lead is to ignore their question. Every user looking to build their personal brand on LinkedIn should make it a goal to share content on a consistent basis. Whether it is one piece of content per day, or three pieces of content per week, establish a posting schedule, and meet those requirements. Just remember, don’t share content that isn’t relevant or that aligns with your audience just for the sake of meeting your goal. You need to make sure your prospects can relate to your posts, so that they engage with you. We’ll say it again. Don’t be a spammer. Even though we’re encouraging you to share, share, share, it is very possible to overdo it. Be mindful of your frequency and how many people will view your message by. For example, don’t just share content with one small group of people. They may be become frustrated with the overload of information. Be consistent, but don’t be a spammer. And there you have it: a few quick tips to get you on track to start your own social selling strategy! We suggesting starting with LinkedIn and once you get a handle on that platform, move your efforts to your other social media outlets. If you stay mindful in your strategy and build your own personal brand, you’ll be gathering leads and making deals in no time!